This might appear disappointing to a few that I’m back to my good, old, honest Seiko – further down, the Seiko 5 and the only excuse I can give here is old habits die hard. Agreed I have dived into many an electronic marvel from time to time, adored them, wore them while hard at making love and the showers afterwards; gone drinking, fishing, on long drives and yes, shopping too – however, when it gets down to get the dirty work done, you fall back on the Seiko. Let me correct, the Seiko 5. I sense a soon-to-explode vitriol, but it’s a fair statement. Let me tell you about it. The first counterpoint you have is obviously the G-Shock. Agreed. But then again, I don’t need tons of functions when I’m doing up my mo’rcycle or bathing my dogs; just keep track of time so that I don’t miss my bathing and lunch time. Tuning up the engine to 8 beats every 5 seconds is also something you can do with the regular seconds-hand. You don’t need a tech-heavy watch for that; not even moderate-techs like the Ana-digi Watches. I also hear some shouting “chronographs!” but could you press buttons when your hands are all greasy and each holding a tuning tool? AFAIK, it’s very tough, if not impossible; a flick of the wrist seems comparatively easier. You also wind it up a bit doing so. 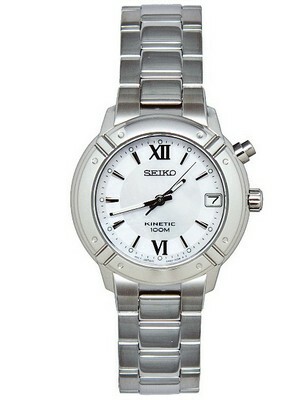 If you don’t know already, Seiko 5 watches are automatic mechanicals that you can also wind manually. I simply don’t have the energy (nor time) to go through the price point differences. You can figure that out yourself. Seiko-s got a global goodwill for being a single brand showcasing all those at incredibly low prices. You may go ahead with timepieces that run into thousands of dollars, but you won’t wear it with peace of mind. The toughness of Seiko 5 is legendary; believe it or not, for specs that modern watchmaking would call a flaw or at best, bizarre. But it works fine, so what doesn’t give trouble I can ignore easily. It’s equally a fun thing, so if my wallet permits, I expect to see a Seiko 5 collection of sorts growing after some time. You bet it will be an interesting one. Even if its a $75 Seiko 5 Military Automatic Mechanical, it’s tougher than the Cartier or Tag Heuer that’s tough only on the dance floor. It even services (once in a blue moon) cheaper! Seiko 5 are not up to developing a pseudo, snobby status symbol ; just solid products on peoples’ wrists to tell the time! Overall, it’s something pretty damned impressive – if you ask my humble opinion, then – both from the business and the engineering standpoints! Newsletter: Blowout Sale on 50+ watches with huge discounts! Next post Newsletter : Michael Kors Watches Sale: Up to 40% off with Free Worldwide Shipping!